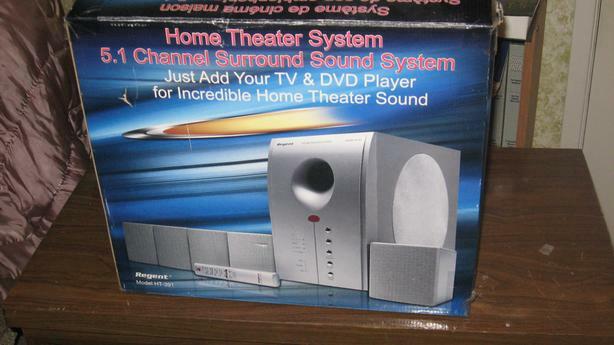 Regent Home theatre, sounds around system. Has a fully adjustable sub woofer with 5 satellite speakers. Comes with hook up wiring instructions and remote control. In original box. Price is 90.00 FIRM. Price is NON NEGOTIABLE. 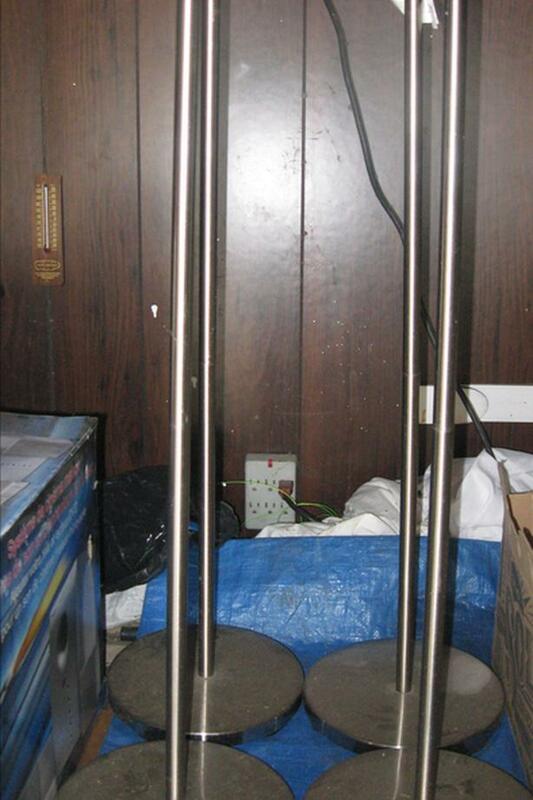 4 x 3 piece chrome metal stands for satellite speakers included. Overall height is 36". Heavy base.